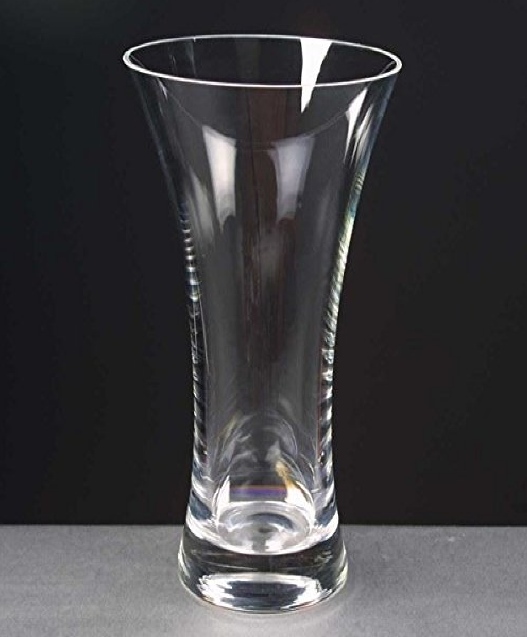 Elegant flower vase in contemporary crystal design. It stretches gracefully to a height of 11 1/4 inches and flares out to 5.25 inches at it's widest point. Heavy and very stable. Rouched effect embedded in glass. 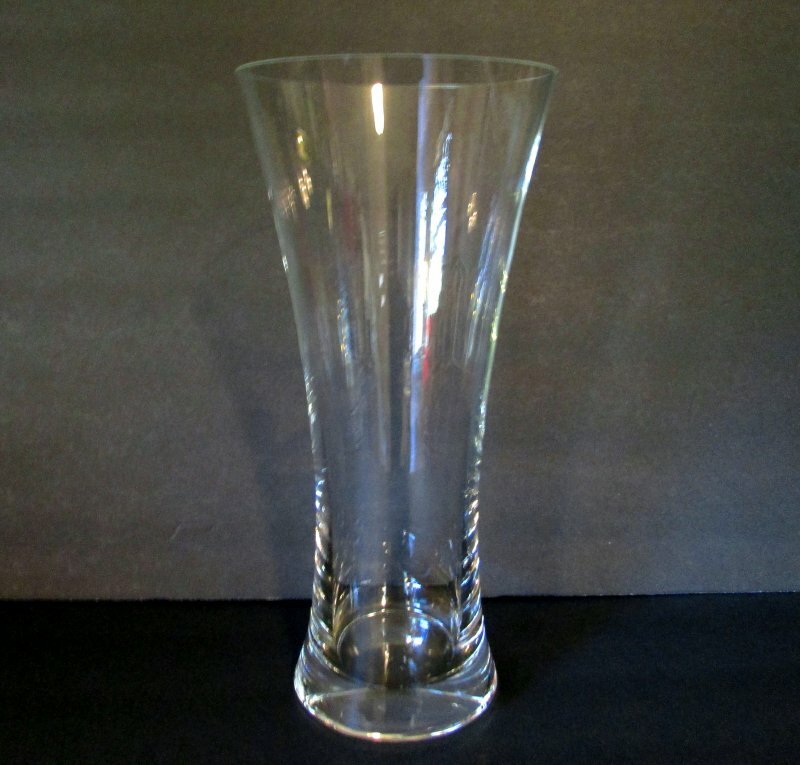 This lovely vase will show off your most beautiful arrangements and centerpieces. 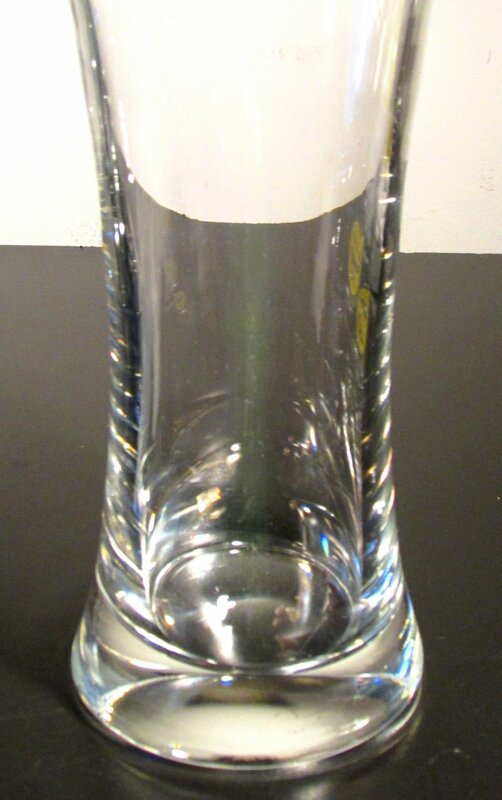 This vase is in nearly new condition. No defects or damages to point out that I can see.